Being GREEN, Is In! Are you doing your part? With so much awareness about environmental issues happening in our background and whatever we do does not seem to be enough, but then we continue with our contributions for the same. So does Bharti Airtel, besides their silent campaigns and efforts towards environmental concerns and issues, this is an initiative taken up by Airtel. But this time around its with the support and contribution of its customers. And has it worked? Well Airtel has started paperless billing for its customers for quite some time now, and Bharti Airtel has a substantial share of the customers opting for the paperless billing. Bharti Airtel Gujarat circle customers registering for e-bill has gone up from 5% last year to 30% in the current year. Bharti Airtel through many attractive initiatives has been constantly encouraging more paper bill customers to opt for e-billing and e-transactions. This green initiative was designed to promote mobile phone usage as an efficient tool to generate e-Bills, e-Payments and e-Transactions, thereby saving tonnes of paper as well as save time and reduce fuel consumption. To popularise the paperless billing among Airtel customers every time a customer dialling to Airtel customer care centre the executive of the customer care centre will brief the customer to opt for the paperless billing. 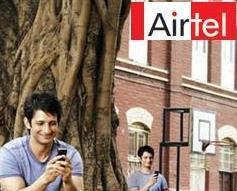 Additionally, Airtel customers who opt for e-bill would receive an itemised bill absolutely free of cost. There’s a huge fraud done by Airtel in some parts of my state, Airtel has deducted the entire money from the retailer’s easy recharge sim. The retailers held airtel authority responsible as no one else is supposed to know the numbers and couldn’t have access to their balance available. I read in the newspaper that due to this reason retailers may stop selling Airtel products in some parts of the state. For AIRTEL users. To stop your value added services you just type STOP and send it to 121. You ll receive a message wher it ll display list of VAS activated in your account And you can deactivate it by replying with numbers.